Revive your skin, body and mind with the ESPA Beauty Explorer Collection; an ultimate set of travel friendly, hair and skincare treatments designed to deeply cleanse, hydrate, nourish and rejuvenate you from head to toe. Packed for the journey, with an extensive range of our bestselling formulas, the kit comes complete with ESPA’s limited edition luggage tag and ‘Explore’ travel guide, packed with expert advice from the brand’s worldwide spas. A hydrating toner enriched with essential oils and flower waters to refresh and comfort skin. Rose Damascena hydrates and Rose Geranium soothes and protects, while Neroli replenishes for beautifully soft, supple skin. A responsive, lightweight nutrient-rich moisturiser that balances the complexion while delivering deep, long-lasting hydration where your skin needs it most. South African Resurrection Plant revives dehydrated skin, Navarra Asparagus Extract targets the early signs of skin ageing and Yeast Bioferment revitalises by night for visibly beautiful skin. An instantly enlivening shower gel to gently cleanse the skin while the zesty aroma helps awaken the senses. Coconut Extract create a naturally foaming lather to deeply cleanse, while Eucalyptus revitalises and Peppermint energises the body and mind. A luxuriously rich and creamy shampoo to gently cleanse and effectively remove product build-up without irritating the hair or scalp. Coconut, Jojoba and Olive Oils lightly condition so hair feels soft and silky, while Honey and ProVitamin encourage hair to retain moisture, helping to strengthen and improve shine. Silicone, SLES and SLS free. Suitable for all hair types, including colour-treated hair. An intensely nourishing conditioner to hydrate, soothe and help strengthen hair, leaving it smooth, glossy and in beautiful condition. Coconut, Jojoba and Olive Oil nourish, leaving hair soft, shiny and easy to style, while Protein-rich Soy, Wheat and Corn Extracts ensure hair is revitalised and lustrous. An intensely nourishing treatment balm to soothe, protect and strengthen dry or sensitive skin. Naturally calming actives Blackcurrant Seed Oil, Balloon Vine Extract, Manuka and Tamanu Oils, replenish and soothe stressed skin, while antioxidant Sea Fennel restores and protects for beautifully comforted skin. Suitable for all skin types, especially dry or sensitive skin. 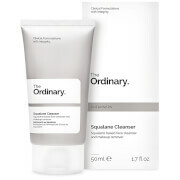 ProCleanser: Use daily, smoothing a small amount over face, neck and décolleté. Moisten with warm water and massage lightly in circular movements until the Jojoba spheres melt, then rinse thoroughly. Leave on for 15 minutes twice a week to allow the mask to activate. SpaFresh: After cleansing, soak a cotton wool pad in toner and sweep over face, neck and décolleté. ProSerum: After cleansing and toning, warm a few drops in your palms and cup hands over face to inhale the aroma. Gently smooth over face, neck and décolleté until fully absorbed. To intensify results, follow with Optimal Skin ProMoisturiser. 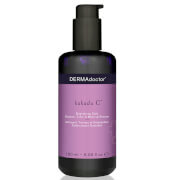 ProMoisturiser: Use morning and evening after cleansing and toning. Apply to fingertips and tap into face, neck and décolleté before smoothing in light upward strokes until fully absorbed. Shower Gel: Best used in the morning. Lather and rinse off in the shower or add to running water for a luxurious foaming bath. Body Butter: Use morning and evening after your bath or shower. Massage into skin in firm, upward, circular movements until fully absorbed. Mud: Massage into scalp and through damp hair. Leave for 20 minutes or overnight if preferred and rinse. Follow with Purifying Shampoo and Nourishing Conditioner. Shampoo: Massage into damp hair, creating a rich lather before rinsing. Follow with Nourishing Conditioner. Conditioner: Gently massage into damp hair and scalp, comb through and leave for two minutes before rinsing. Balm: Massage a small amount into dry skin and lips. Repeat as often as required. This on-the-spot treatment can also be used to nourish nails and cuticles, shape brows or soothe skin after sun exposure. 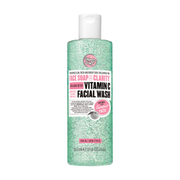 ProCleanser: Caprylic/Capric Triglyceride, Glycerin, Jojoba Esters, Lactobacillus/Pumpkin Fruit Ferment Filtrate, Persea Gratissima (Avocado) Oil, Water (Aqua), Coconut Alkanes, Sucrose Laurate, Sucrose Stearate, Phenoxyethanol, Limonene, Vaccinium Vitis-Idaea Seed Oil, Citrus Aurantium Dulcis (Orange) Peel Oil, Coco-Caprylate/Caprate, Citrus Aurantium Amara (Bitter Orange) Flower Oil, Citrus Aurantium Bergamia (Bergamot) Fruit Oil, Cedrus Atlantica Bark Oil, Citrus Nobilis (Mandarin Orange) Peel Oil, Ethylhexylglycerin, Leuconostoc/Radish Root Ferment Filtrate, Linalool, Moringa Oleifera Seed Extract, Jasminum Officinale (Jasmine) Flower Extract, Disodium Phosphate, Rosa Damascena Flower Oil, Citric Acid, Citronellol, Benzyl Benzoate, Helianthus Annuus (Sunflower) Seed Oil, Rosmarinus Officinalis (Rosemary) Leaf Extract. ProSerum: Oryza Sativa (Rice) Bran Oil, Helianthus Annuus (Sunflower) Seed Oil, Coconut Alkanes, Caprylic/Capric Triglyceride, Helianthus Annuus (Sunflower) Seed Oil Unsaponifiables, Oenothera Biennis (Evening Primrose) Oil, Rosa Canina Fruit Oil, Echium Plantagineum Seed Oil, Octyldodecanol, Coco-Caprylate/Caprate, Curcuma Longa (Turmeric) Root Extract, Ribes Nigrum (Black Currant) Seed Oil, Limonene, Tocopherol, Cedrus Deodara Wood Oil, Citrus Aurantium Dulcis (Orange) Peel Oil, Cananga Odorata Flower Oil, Crithmum Maritimum Extract, Lupinus Albus Seed Extract, Retinyl Palmitate, Glyceryl Oleate, Citrus Nobilis (Mandarin Orange) Peel Oil, Citrus Reticulata (Tangerine) Peel Oil, Eugenia Caryophyllus (Clove) Flower Extract, Pogostemon Cablin Leaf Extract, Eugenol, Alaria Esculenta Extract, Spilanthes Acmella Flower Extract, Rosmarinus Officinalis (Rosemary) Leaf Extract, Jasminum Sambac (Jasmine) Flower Extract, Mentha Viridis (Spearmint) Leaf Oil, Plumeria Acutifolia Flower Extract, Rosa Centifolia Flower Oil, Linalool, Ascorbyl Palmitate, Geraniol, Citric Acid, Cardiospermum Halicacabum Flower/Leaf/Vine Extract, Glyceryl Stearate, Lecithin, Benzyl Benzoate, Citronellol, Benzyl Salicylate, Farnesol, Benzyl Alcohol. ProMoisturiser: Water (Aqua), Coconut Alkanes, Polyglyceryl-6 Distearate, Helianthus Annuus (Sunflower) Seed Oil Unsaponifiables, Inulin, Polyglyceryl-2 Stearate, Pectin, Xylitylglucoside, Cetyl Alcohol, Coco-Caprylate/Caprate, Plukenetia Volubilis Seed Oil, Propanediol, Ethylhexyl Palmitate, Caprylic/Capric Triglyceride, Glyceryl Stearate, Anhydroxylitol, Phenoxyethanol, Stearyl Alcohol, Glycerin, Jojoba Esters, Behenic Acid, Cetyl Behenate, Isostearyl Isostearate, Potassium Cetyl Phosphate, Helianthus Annuus (Sunflower) Seed Oil, Xylitol, Limonene, Citrus Aurantium Dulcis (Orange) Peel Oil, Sclerotium Gum, Polyglyceryl-3 Beeswax, Alpha-Glucan Oligosaccharide, Citrus Aurantium Amara (Bitter Orange) Flower Oil, Citrus Aurantium Bergamia (Bergamot) Fruit Oil, Benzoic Acid, Cedrus Atlantica Bark Oil, Citrus Nobilis (Mandarin Orange) Peel Oil, Dehydroacetic Acid, Alaria Esculenta Extract, Rosmarinus Officinalis (Rosemary) Leaf Extract, Lonicera Caprifolium (Honeysuckle) Flower Extract, Lonicera Japonica (Honeysuckle) Flower Extract, Linalool, Asparagus Officinalis Stem Extract, Myrothamnus Flabellifolia Leaf/Stem Extract, Silica Dimethyl Silylate, Ethylhexylglycerin, Sorbitol, Hydrolyzed Yeast Protein, Sodium Benzoate, Butylene Glycol, Pentylene Glycol, Lactic Acid, Lecithin, Ascorbic Acid, Calcium Gluconate, Citric Acid, Gluconolactone, Potassium Sorbate, Jasminum Officinale (Jasmine) Flower Extract, Rosa Damascena Flower Oil, Sodium Hyaluronate, Xanthan Gum, Caprylyl Glycol, Glucose, Tocopheryl Acetate, Citronellol, Benzyl Benzoate, Glyceryl Linoleate, Glyceryl Linolenate, Disodium EDTA, Retinyl Palmitate, Sodium Ascorbyl Phosphate, Glyceryl Caprylate, Oleic Acid, Iron Oxides (CI 77491). Body Butter: Water (Aqua), Isopropyl Palmitate, Caprylic/Capric Triglyceride, Butyrospermum Parkii (Shea) Butter, Cetyl Alcohol, Glycerin, Glyceryl Stearate, Galactoarabinan, Cetearyl Alcohol, Glyceryl Stearate SE, Hydrogenated Ethylhexyl Olivate, Phenoxyethanol, Sodium Stearoyl Lactylate, Sorbitol, Sodium PCA, Hydrogenated Olive Oil Unsaponifiables, Inulin Lauryl Carbamate, Sclerotium Gum, Sodium Lactate, Limonene, Citrus Limon (Lemon) Peel Oil, Benzoic Acid, Hydrolyzed Pumpkin Seedcake, Geraniol, Cymbopogon Martini Oil, Argania Spinosa Kernel Oil, Rosa Canina Fruit Oil, Dehydroacetic Acid, Tocopherol, Citrus Aurantium Dulcis (Orange) Peel Oil, Pelargonium Graveolens Oil, Helianthus Annuus (Sunflower) Seed Oil, Glyceryl Polyacrylate, Ethylhexylglycerin, Citrus Aurantium Amara (Bitter Orange) Flower Oil, Lavandula Hybrida Oil, Phytic Acid, Citrus Nobilis (Mandarin Orange) Peel Oil, Linalool, Sodium Hydroxide, Caprylyl Glycol, Pogostemon Cablin Leaf Oil, Cistus Ladaniferus Resin, Citronellol, Vanilla Planifolia Fruit Extract, Citral, Farnesol, Cistus Ladaniferus Oil, Jasminum Officinale (Jasmine) Flower Extract, Rosa Damascena Flower Extract. Mud: Water (Aqua), Ricinus Communis (Castor) Seed Oil, Glycerin, Bis-(Ethyl PPG-3 Behenate) Dimonium Methosulfate, Cetearyl Alcohol, Cetyl Alcohol, Cetyl Esters, Glyceryl Stearate, Kaolin, Behenamidopropyl Dimethylamine, Sorbitol, Sodium PCA, Phenoxyethanol, Prunus Armeniaca (Apricot) Kernel Oil, Caprylyl Glycol, Tocopherol, Sodium Lactate, Vitis Vinifera (Grape) Seed Oil, Nasturtium Officinale Extract, Helianthus Annuus (Sunflower) Seed Oil, Lonicera Caprifolium (Honeysuckle) Flower Extract, Lonicera Japonica (Honeysuckle) Flower Extract, Citric Acid, Limonene, Geraniol, Citrus Aurantium Dulcis (Orange) Peel Oil, Cymbopogon Martini Oil, Cymbopogon Nardus (Citronella) Oil, Lavandula Hybrida Oil, Linalool, Cinnamomum Camphora (Camphor) Wood Oil, Citrus Aurantium Bergamia (Bergamot) Fruit Oil, Pelargonium Graveolens Oil, Anthemis Nobilis Flower Oil, Cistus Ladaniferus Resin, Dipteryx Odorata Seed Extract, Eugenia Caryophyllus (Clove) Leaf Oil, Mentha Arvensis Leaf Oil, Menthol, Vanilla Planifolia Fruit Extract, Vanillin, Vetiveria Zizanoides Root Oil, Rosa Damascena Flower Extract. Shampoo: Water (Aqua), Sodium Lauryl Sulfoacetate, Propanediol, Cocamidopropyl Betaine, Caprylyl/Capryl Glucoside, Sodium Chloride, Glycerin, Sodium Lauroyl Sarcosinate, Hydroxypropyltrimonium Honey, Coco-Glucoside, Sodium Sulfate, Limonene, Panthenol, Xanthan Gum, Coconut Alcohol, Hydroxypropyl Guar Hydroxypropyltrimonium Chloride, Sodium Benzoate, Citrus Aurantium Dulcis (Orange) Peel Oil, Citrus Limon (Lemon) Peel Oil, Cupressus Sempervirens Oil, Citrus Aurantium Bergamia (Bergamot) Fruit Oil, Caprylic/Capric Triglyceride, Citrus Aurantifolia (Lime) Oil, Eucalyptus Globulus Leaf Oil, Lavandula Hybrida Oil, Potassium Sorbate, Linalool, Cocos Nucifera (Coconut) Oil, Olea Europaea (Olive) Fruit Oil, Simmondsia Chinensis (Jojoba) Seed Oil, Sodium Laurate, Abies Sibirica Oil, Mentha Arvensis Leaf Oil, Myristica Fragrans (Nutmeg) Kernel Oil, Zingiber Officinale (Ginger) Root Oil, Citric Acid, Sodium Hydroxide, Citral, Cupressus Sempervirens Leaf Oil, Cymbopogon Nardus (Citronella) Oil, Melaleuca Alternifolia (Tea Tree) Leaf Oil, Myrocarpus Fastigiatus Oil, Pogostemon Cablin Leaf Oil, Sodium Sarcosinate, Sorbic Acid, Cistus Ladaniferus Oil, Dipteryx Odorata Seed Extract, Ferula Galbaniflua (Galbanum) Resin Oil, Fucus Vesiculosus Extract, Jasminum Grandiflorum (Jasmine) Flower Extract, Lavandula Angustifolia (Lavender) Flower Extract. Conditioner: Water (Aqua), Cetearyl Alcohol, Glycerin, Cetrimonium Chloride, Limonene, Phenoxyethanol, Cocos Nucifera (Coconut) Oil, Olea Europaea (Olive) Fruit Oil, Panthenol, Prunus Amygdalus Dulcis (Sweet Almond) Oil, Simmondsia Chinensis (Jojoba) Seed Oil, Citrus Aurantium Dulcis (Orange) Peel Oil, Citrus Limon (Lemon) Peel Oil, Cupressus Sempervirens Oil, Citrus Aurantium Bergamia (Bergamot) Fruit Oil, Caprylic/Capric Triglyceride, Citrus Aurantifolia (Lime) Oil, Eucalyptus Globulus Leaf Oil, Lavandula Hybrida Oil, Linalool, Ethylhexylglycerin, Abies Sibirica Oil, Mentha Arvensis Leaf Oil, Myristica Fragrans (Nutmeg) Kernel Oil, Zingiber Officinale (Ginger) Root Oil, Hydrolyzed Corn Protein, Hydrolyzed Soy Protein, Hydrolyzed Wheat Protein, Citral, Cupressus Sempervirens Leaf Oil, Cymbopogon Nardus (Citronella) Oil, Melaleuca Alternifolia (Tea Tree) Leaf Oil, Myrocarpus Fastigiatus Oil, Pogostemon Cablin Leaf Oil, Citric Acid, Cistus Ladaniferus Oil, Dipteryx Odorata Seed Extract, Ferula Galbaniflua (Galbanum) Resin Oil, Fucus Vesiculosus Extract, Jasminum Grandiflorum (Jasmine) Flower Extract, Lavandula Angustifolia (Lavender) Flower Extract. Balm: Ricinus Communis (Castor) Seed Oil, Glycine Soja (Soybean) Oil, Hydroxystearic/Linolenic/Oleic Polyglycerides, Vegetable Oil (Olus Oil), Beeswax (Cera Alba), Canola Oil, Echium Plantagineum Seed Oil, Hydrogenated Vegetable Oil, Octyldodecanol, Copernicia Cerifera (Carnauba) Wax, Cetyl Alcohol, Limonene, Citrus Aurantium Dulcis (Orange) Peel Oil, Caprylic/Capric Triglyceride, Behenic Acid, Cetyl Behenate, Isostearyl Isostearate, Potassium Cetyl Phosphate, Ribes Nigrum (Black Currant) Seed Oil, Citrus Aurantium Amara (Bitter Orange) Flower Oil, Citrus Aurantium Bergamia (Bergamot) Fruit Oil, Cedrus Atlantica Bark Oil, Citrus Nobilis (Mandarin Orange) Peel Oil, Calophyllum Inophyllum Seed Oil, Linalool, Crithmum Maritimum Extract, Helianthus Annuus (Sunflower) Seed Oil Unsaponifiables, Leptospermum Scoparium Branch/Leaf Oil, Tocopherol, Citric Acid, Ascorbyl Palmitate, Glyceryl Oleate, Glyceryl Stearate, Lecithin, Jasminum Officinale (Jasmine) Flower Extract, Cardiospermum Halicacabum Flower/Leaf/Vine Extract, Helianthus Annuus (Sunflower) Seed Oil, Rosa Damascena Flower Oil, Citronellol, Benzyl Benzoate, Rosmarinus Officinalis (Rosemary) Leaf Extract, Geraniol, Citral.